Our South Korea trip begin with our arrival at Gimhae International Airport, Busan at 6.00 a.m. Why Busan? The air ticket was cheaper by RM200++ to Busan compared to Seoul. We have two options to travel to Seoul which were by bus or by KTX. Our original plan was to take bus from Busan to Seoul to save money. 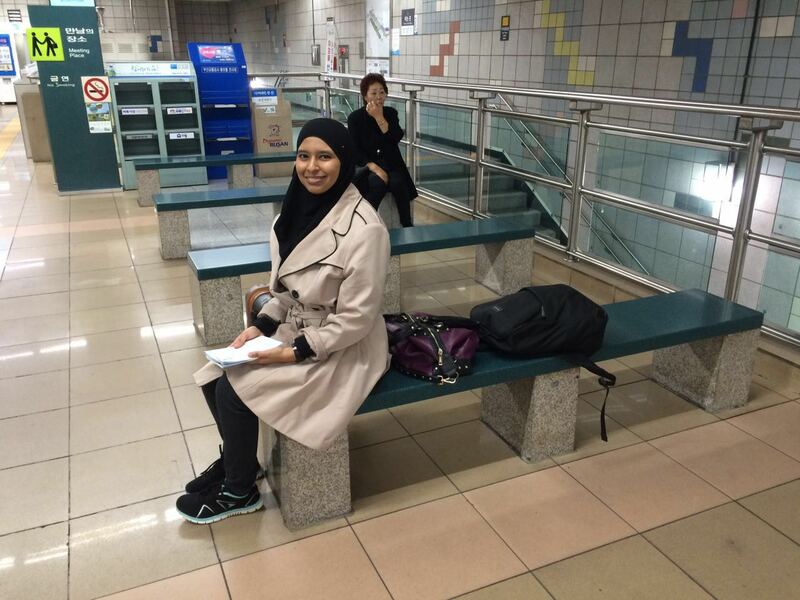 But we changed the plan as we wanted to arrive early and visit places in Seoul. 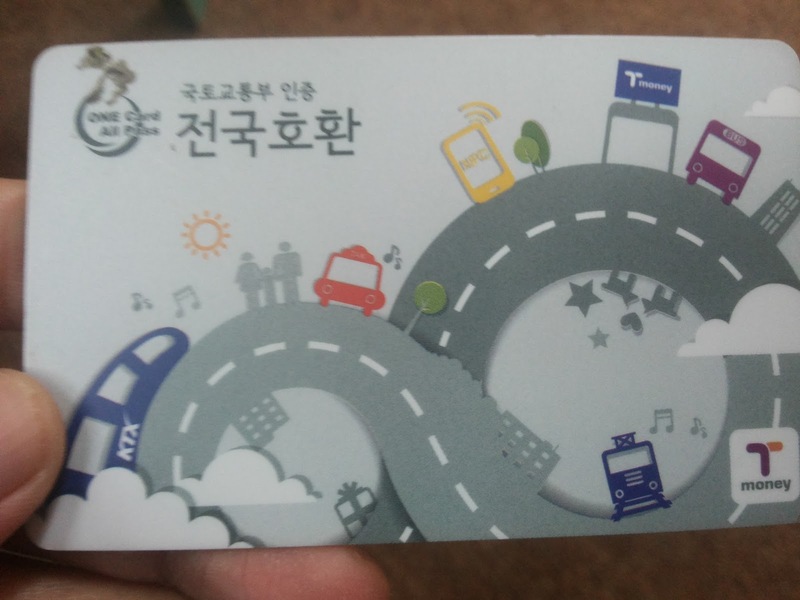 The first thing we did once we arrived in Busan was getting the T-money card because we need to take the subway train to Busan Station. T-money price: ₩ 2,500. You can buy this T-money at the vending machine or at convenient store like 7-eleven. There are many places you can top-up your T-money so don't worry too much. You can use this T-money for taxi, bus and subway. We stayed at Hongik University area in Seoul. Basically this is our route from Gimhae Airport to Hongik University. After we have checked in the apartment at Hongik University, we unpacked food for meal and ready for Zuhr and Asr prayers at the apartment. 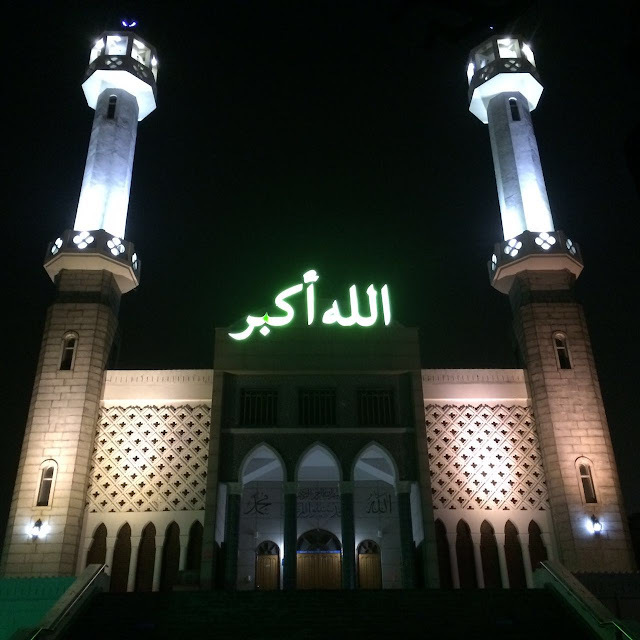 We then headed to Itaewon, a famous place with its muslim food and mosque.We had dinner at a halal food restaurant named Makan. You can find many other Muslim tourists especially those from Indonesia and many of them resides at this place. You can find this restaurant after walking few minutes from Itaewon station Line 6 Exit No. 3. The food price ranges from ₩ 6,000 to ₩12,000 (Approximately RM40 per meal). Coming up next: We went to Dongdaemun cultural park in the morning, had lunch at Myeondong street, spend the evening at Namsan N-Seoul tower and finally head to our street food mission back at Myeondong.